Our story begins in 1905, when a man named Ernest Uebersax, came to the U.S. from Switzerland. Upon arriving in Baltimore, Maryland, he obtained a job working as an apprentice baker at a small bakery called Fancy Bakery - it was here, that he met the baker’s sister-in-law and love of his life, Alvena Buttner. 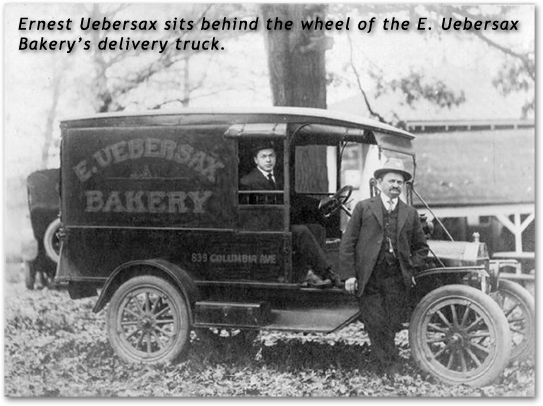 Eight years later, in April of 1913, Ernest and Alvena were married and days later, started their own bakery which they called the E. Uebersax Bakery. 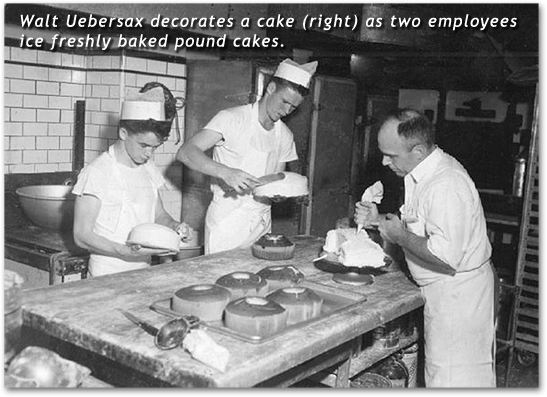 Located on what was then called Columbia Avenue (now known as Washington Boulevard), the opening of the E. Uebersax Bakery would be the start of Fenwick Bakery’s many years of heritage and legacy. By the early 1920s, Ernest and Alvena’s family (they now had a daughter and two young sons) and bakery were expanding, so they made the decision to move their family and bakery to the corner of Oliver and Montford Avenues. But in 1926, Ernest and Alvena made the difficult decision to close the bakery. A year later however, they moved their family one more time to a slightly larger home in east Baltimore. 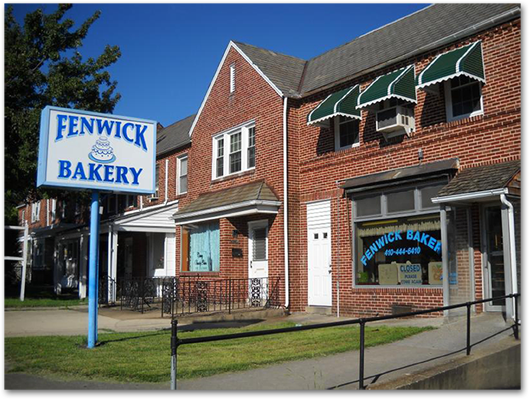 Now living on Fenwick Avenue, Ernest and Alvena decided to reopen their bakery, this time naming it Fenwick Bakery. In the years that followed, Ernest and Alvena had another son and daughter and their reputation for producing unbeatable, fresh baked goods began spreading rapidly around town. By 1952, their children were now adults and the business was doing so well, that they decided to retire and hand the bakery over to their eldest son, Walter (who became the bakery’s new President and co-owner) and youngest son, Ed (now the new Head Baker and co-owner). Eventually, their youngest daughter, Marta Gahs, would also become a part-owner of the bakery and worked for many years behind the counter, serving Fenwick’s many loyal customers. In 1971, Fenwick was moved for a final time to its current location on Harford Road in Parkville, Maryland. And in the mid-1990s, Walt, Ed, and Marta decided it was time to retire themselves and sell the bakery to its current owners and long-time Fenwick employees, Al Meckel (President and Head Baker) and Claudette Wilson (Head Decorator). However, the Uebersax family continues to support and love the bakery. This website was even designed by Kate Gahs, the great-granddaughter of Ernest and Alvena. Fenwick Bakery’s products are unmatched in quality and price, and have been enjoyed by a countless number of customers for over one hundred years. Fenwick’s cakes in particular, have been enjoyed by three, sometimes four, generations. Fenwick continues to make lots of 25th and 50th anniversary cakes for customers who purchased their original wedding cakes at Fenwick. Be sure to stop by and try one of Baltimore’s favorite, traditional bakeries!